IS SOME IN THE BUSH CAMP USING AN OLD PROPAGANDA TRICK IN ORDER TO FALSELY DISCREDIT CRITICS OF THE PRESIDENT? Title: IS SOMEONE IN THE G.O.P. CAMP USING AN OLD PROPAGANDA TRICK IN ORDER TO FALSELY DISCREDIT CRITICS OF THE PRESIDENT? Subtitle: Three major news stories in the past eight months have broken into the public consciousness, created a great stir, only to develop "problems" with the source. Is someone in the G.O.P. camp using the old propaganda ploy to leak stories with real facts, but with a deliberately created problem with the source? We note the pattern and leave the question up to you. Today, we shall review the breaking news story that "problems" have suddenly developed with the source of the Times of London story revealing the contents of a July, 2002, memo which has been dubbed "The Downing Street Memo". For weeks now, British, then international, and finally, American news media has trumpeted the story that President Bush decided to go to war first and then "fixed the intelligence" to fit around his decision. The impact may be severe, and the end result could very turn out to be total public discrediting of the original story. Since this scenario seems eerily similar to the Bush National Guard story in September, 2004, and the Newsday story that American interrogators at Guantanamo Bay Prison had flushed the Koran down the toilet. 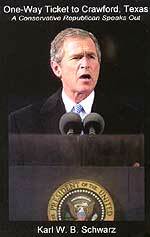 Since President Bush escaped major embarrassment in each of these instances, only because a problem suddenly developed with the "source" of the story, it is necessary to examine each of these three instances in light of the well-known propaganda ploy of creating an embarrassing story filled with true facts, but created in such a manner that the original source could suddenly be discredited. Once the source has been thoroughly discredited the net effect is that the President is fully protected from any further problems concerning the content of the story. The facts may very well be true, but no one will believe the story any more. Let us begin by examining the process by which this propaganda ploy is utilized. 6) Once the source is discredited, the facts of the story are discredited in the public mind. With this pattern in mind, please consider the following three critically important news stories, each of which broke at a time of major importance, and each of which could have thoroughly and totally, discredited President Bush. However, as soon as it was revealed that there was a problem with the "source" of the story, the case against the President instantly evaporated and the majority of the people wrongly concluded that a problem with the source equals a problem with the facts. Just like that, the President was off the hook, inoculated in the public mind against any further questioning along that particular line. Let us now review each of these stories, beginning with the most recent first. We shall skip the first paragraphs of this Yahoo News story, which deal substantively with the issues raised by the "Downing Street Memo", i.e., that President Bush decided to go to war and then "fixed the intelligence" to substantiate his decision. As we have stated before, this news is not "new", for Cutting Edge has been reporting this fact for nearly three years now. In the eight months before the invasion, we were running articles disputing Bush's claims that Iraq possessed WMD. In the time period since the invasion, we have run similar articles. Later, when the public began to notice that American forces had not found any WMD, we continued to run these types of articles. Therefore, we have skipped the first half of the article to get to the point pertinent to our discussion. "The eight memos — all labeled 'secret' or 'confidential'— were first obtained by British reporter Michael Smith, who has written about them in The Daily Telegraph and The Sunday Times. Smith told AP he protected the identity of the source he had obtained the documents from (sic) by typing copies of them on plain paper and destroying the originals ... The AP obtained copies of six of the memos (the other two have circulated widely). A senior British official who reviewed the copies said their content appeared authentic. He spoke on condition of anonymity because of the secret nature of the material ... Toby Dodge, an Iraq expert who teaches at Queen Mary College, University of London, said the documents confirmed what post-invasion investigations have found ... The British documents confirm, as well, that 'soon after 9/11 happened, the starting gun was fired for the invasion of Iraq', Dodge said." Please focus on the fact that, suddenly, problems have developed with the source. Instead of keeping the originals to present to proper authorities, Michael Smith typed them verbatim on to blank documents and then destroyed the originals. This is incredibly sloppy journalism! No major reporter working for a major news company would ever, ever destroy originals. He may keep them in deep secret storage, but he should never destroy them. Just by leaking this fact to the major press opens a huge door into the possibility that the whole story was fabricated, which will be considered as to why the reporter now cannot come up with the originals. In the days to come, you can expect pro-Bush journalists to jump on this issue with both feet. If the source did not keep originals, how can anyone be sure that the originals ever existed in the first place? If the source cannot now produce originals, pundits will declare that Michael Smith is out to "get" the President and the British Prime Minister. Pro-Bush sources will claim a "mistrial" in the court of public opinion. In our explanation of the "Six Step Attitudinal Change Plan", we describe the process by which the debate is subtly, but dramatically, shifted, from Step 2 (public being outraged) to Step 3 (focus of the debate shifted). As soon as a problem is reported with the quality of the source, the debate shifts from Step 2 of outrage to Step 3 of disbelief. Even though the facts may be right, the public will disbelieve them if a problem is reported with the source. Since this is true, it is a very common propaganda technique to create a news story against a public figure, fill it with true facts, and then discredit the source, a chore easily done because of the fatal flaw deliberately built into the original source for the story. After the source is discredited, the story is discredited and the public figure is considered exonerated! Now, let us check the Presidential Campaign story of President Bush's National Guard records. Notice that the source finally admitted that he did not have original documents, but copies -- a very similar story to the Downing Street Memo. "WASHINGTON (CNN) -- Three experts asked by CBS News to examine memos alleging President Bush received special treatment during his service in the Texas Air National Guard told CNN Tuesday they did not authenticate the documents ... The memos in question were purportedly written by Killian. In them, the author complained he was being pressured to 'sugar coat' the future president's performance evaluations and that Bush failed to meet performance standards while a pilot in the Texas Air National Guard, including getting a required physical exam. 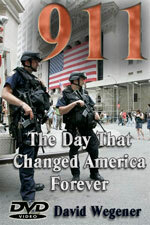 The author also wrote that he believed Bush -- at the time the son of a Texas congressman -- was 'talking to someone upstairs' to get permission to transfer to the Alabama National Guard to work on a Senate campaign. But the authenticity of those documents has come under fire in media reports, with some document experts insisting they were not written on a typewriter in the 1970s but generated on a computer at a later date." "Rather and CBS News have insisted that the documents came from a 'solid' source, that their contents were backed up by other reporting and that the memos had been authenticated by document experts. However, Rather conceded that CBS had only obtained photocopies of the documents, not the originals, which experts say would shed light on their authenticity. The network has also not revealed the source of the documents." Politicians wasted no time in attacking the revelations concerning the lack of original documents. From this moment forward, the entire debate shifted its focus; suddenly, the debate was not over whether the documents contained the truth, but the fact that the source was photocopies and not originals, thereby allowing allegations to unfold that they were forgeries. The case collapsed very rapidly after that. Did President Bush have an easy time of it in the National Guard? Was he receiving preferential treatment in his Guard unit during the Vietnam War? Stories have always abounded to that effect. But, the major point is that, once people distrust the source material, they believe the facts contained within them are false. From that point onward, the President had nearly an unshakable public hold on the issue of his Vietnam Era military record, while John Kerry fought the allegations of the Swift Boat people to the very end of the bitter campaign. Finally, let us examine the Newsweek story that American interrogators defiled the Koran during examinations of Muslim prisoners, as a method of breaking down their resistance. How was the Koran defiled? The original news story from Newsweek is that Americans flushed it down the toilet. Watch as a problem develops concerning the source. "AT LEAST nine people were killed yesterday as a wave of anti-American demonstrations swept the Islamic world from the Gaza Strip to the Java Sea, sparked by a single paragraph in a magazine alleging that US military interrogators had desecrated the Koran ... Although the original report in Newsweek was small, it was re-broadcast by television networks such as al-Jazeera and al-Arabiya and in Pakistan ... The unrest began this week after Newsweek published an allegation that American military interrogators had desecrated the Islamic holy book in an effort to rattle detainees at Guantanamo Bay in Cuba. The report said that they had placed the Koran on the lavatory inside inmates’ cells and had 'in at least one case, flushed a holy book down the toilet'." However, the International Red Cross told a slightly different story. "The International Committee of the Red Cross told the Pentagon as early as 2002 that detainees at Guantanamo Bay prison complained of US officials mishandling the Quran ... The ICRC revelation came as Washington sought to defuse anger in the Muslim world after a US news magazine reported the Muslim holy book was flushed down the toilet at the Guantanamo prison ... The ICRC told the Pentagon on Thursday that multiple times in 2002 and early 2003, prisoners at Guantanamo said US officials showed disrespect for the Muslim holy book, said Simon Schorno, an ICRC spokesman. The ICRC spokesman declined to specify if the allegations included the flushing of the Quran down the toilet or if US officials used the disrespect as part of interrogations." " 'The US government took corrective measures and those allegations have not resurfaced', Schorno said." For 11 days, Newsweek ran the story, which triggered great furor. The media ran the story heavily during this period, but on May 16, a problem surfaced with the "source", causing Newsweek to retract their story. "Newsweek apologized yesterday for an inaccurate report on the treatment of detainees that triggered several days of rioting in Afghanistan and other countries in which at least 15 people died. Editor Mark Whitaker expressed regret over the item in the magazine's 'Periscope' section, saying it was based on a confidential source -- a 'senior U.S. government official' -- who now says he is not sure whether the story is true." As a new furor erupted, aimed at Newsweek, Editor Whitaker tried to defend his original decision to run the story, based upon an inside government witness. "The item was principally reported by Michael Isikoff, Newsweek's veteran investigative reporter. 'Obviously we all feel horrible about what flowed from this, but it's important to remember there was absolutely no lapse in journalistic standards here', he said. 'We relied on sources we had every reason to trust and gave the Pentagon ample opportunity to comment. . . . We're going to continue to investigate what remains a very murky situation'." Even the Pentagon did not comment on the article until 11 days had elapsed. Then, all of a sudden, the government insider retracted his allegations. Newsweek pulled their story, and apologized. But, then a very interesting event occurred! No sooner had Newsweek retracted her story that American interrogators at Guantanamo Bay Prison had flushed the Koran down the toilet, than Mainline Press began to run multiple stories that the Koran was defiled after all! "THE embarrassing Newsweek climb-down on the Quran story is surely one for the annals of journalistic screw-ups ... for a respectful period, the magazine in general should hang its head in shame. But something serious is being lost in the crusade to quarantine Newsweek. It’s that the story (which may still prove to have taken place) was in fact all-too believable in Newsweek’s offices and around the world — precisely because of the oft-crude manner in which the administration in Washington has been waging its 'war against terror'." "The Newsweek story said that Muslim prisoners at Guantanamo Bay, Cuba, had been humiliated by having to watch as a copy of the Quran flushed down a toilet. It turns out that Newsweek relied on but one source, and when that source -- a Pentagon official -- changed his story (because he had been lying? Been misinformed? Been pressured by higher-ups in the Pentagon to repudiate his story? ), the Newsweek exclusive collapsed like a house of cards in a desert sandstorm ... it was a serious error to go public with a story like this on the basis of a sole source." Did you catch that bit of information? Newsweek retracted the story because its one source was a Pentagon official who might have recanted his information simply because he was in danger of losing his job. Or, was he a disinformation agent all along? Once Newsweek recanted the story because their single source had turned tail to run, the White House propaganda machine began to trumpet that Newsweek was wrong with the facts of the case. As a matter of fact, some mainline news sources ran the story that American interrogators most certainly did not flush the Koran down the toilet! The most American officials would admit to is "Koran mishandling"! As we have stated earlier in our many "Blood In The Streets" articles, the abuses -- both torture and sexual humiliation -- which our forces have wreaked upon Muslim prisoners were carefully calculated to offend the sensibilities unique to followers of Islam. We have forced the world to the brink of all-out war with 1.4 billion Muslims, an outcome which any junior high school student could have foreseen. When the Middle East does explode into war, you can thank this scandal for preparing the hearts and minds of the Muslim people to hate everything Western - American and/or Israeli. Now, we not only have the word of the International Red Cross that the Koran was being defiled, but now the words of American FBI agents, that US guards did flush a Koran down a toilet! FBI records verified the original Newsweek story! Notice that this Newsweek case folded because their original "source" developed a severe problem. The facts of these three cases are true! 1) President Bush did decide to attack Iraq very early in his administration. Since mid-2002, Cutting Edge posted numerous news stories and articles in which we said the Bush Administration had not proven its WMD case against Iraq. In February, 2004, we posted our two-article series showing how the lies were created and disseminated -- NEWS1890 and NEWS1890b -- "BUSH/BLAIR JUSTIFICATION OF IRAQ INVASION: NOW PROVEN TO BE LIES, DISTORTIONS, EXAGGERATIONS!" In our article, NEWS2045, "IMPEACHMENT OF PRESIDENT BUSH? ", we provide a lot of historical data which shows how this campaign of deliberate lying began and progressed. NEWS BRIEF: "Bush Sought ‘Way’ To Invade Iraq? ", CBSNews.com, January 11, 2004. 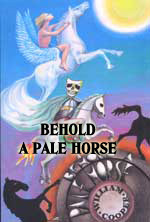 From the beginning of the propaganda buildup to invade Iraq (early 2002), we have reported that former Satanist, Bill Schnoebelen -- now Born Again and Director of "With One Accord" -- stated that, while he was in the coven, he learned that the Illuminati decided in 1954 that America would invade Iraq so as to trigger the Regional War in the Middle East that would, in turn, trigger the planned World War III. 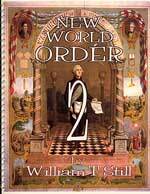 Thus, President Bush is simply carrying out the Illuminati plan of 1954. This story goes a long way toward verifying Schnoebelen's assertion that the decision for America to attack Iraq was made in 1954 by the Bilderbergers! President Bush and his key people were so in tune with this plan that they began to work actively for the invasion the very first day of Bush's Administration. This is why not one of his Cabinet members asked even the smallest of questions. They all knew the plan and their part in it. But, now that the "Downing Street Memo" is suddenly developing "original source" problems, President Bush is likely to get an "inoculation" against any further discussions as to when he had decided to attack Iraq and whether he really did manufacture the evidence. 2) Did George W. Bush get preferential treatment at the hands of his National Guard superior officers? Numerous news stories have indicated that there was a lot of truth to the "photocopied" documents upon which the story was based. 3) Did American interrogators really deface the Koran? Yes, they did, as part of the Torture and Sexual Degradation Scandal which we have been covering so vigorously for over one year now. Yet, because the Newsweek "source" suddenly backed out, the public is left with the impression that the whole story was wrong, that no interrogator ever did show disrespect for the Koran. Just as a public case seems getting underway to finally get to the bottom of the scandal that President Bush intended to invade Iraq from the first day of his Presidency and then set in place the Office of Special Plans so that the false intelligence data could be created and disseminated to justify the invasion, we are faced with a possibility that the "Downing Street Memo" might be discredited because the journalistic source did not keep the original documents! If the press then jumps on the story, White House spokesman and other officials can launch an attack on the original story, convincing Americans that none of the facts are true. At this point, the President would have been politically inoculated against any further suspicions that he invaded Iraq based upon deliberately created lies. Members of the Democrat Party could then be very discredited, since they placed great faith in the "Downing Street Memo". We shall have to wait to see how all this works out; but, at the very least, you have to admit that the Grand Ole' Party (G.O.P.) employs some very slick propaganda masters. Since this unprecedented political deception was foretold by our Savior in Matthew 24:24, the fact we are seeing such deception from our elected officials can be considered just one more instance where prophesied End of the Age signs are breaking upon us. Please allow President Bush the last word on the fact that his forces could not find any WMD in Iraq, after intensively trying to discover the stockpiles for over a year after the invasion. This is an important subject, for it goes to the heart of the discussion of the Downing Street Memo and the many other news sources which Cutting Edge has used to determine that President Bush made the decision early on to go to war against Iraq and simply invented the WMD threat to justify the war. 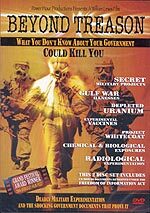 Tens of thousands of Iraqi civilians have died, thousands of American and British soldiers have been either killed in action or severely wounded, and almost every person who has either lived or fought in Iraq since the invasion is under the death sentence of Depleted Uranium. These are the President's own words, as he shows complete, utter disregard for the all the lives of the people lost or ruined because of his justifying lies and deceit. "US President George W Bush has sparked a political row by making a joke about the failure to find weapons of mass destruction in Iraq. At a black-tie dinner for journalists, Mr Bush narrated a slide show poking fun at himself and other members of his administration. One pictured Mr Bush looking under a piece of furniture in the Oval Office, at which the president remarked: "Those weapons of mass destruction have got to be here somewhere." "After another one, showing him scouring the corner of a room, Mr Bush said: 'No, no weapons over there', he said. And as a third picture, this time showing him leaning over, appeared on the screen the president was heard to say: 'Maybe under here?' "
Words cannot describe the disgust I feel over the complete lack of compassion displayed by our President. Men, women and children have died by the tens of thousands because President Bush lied and exaggerated the WMD facts in Iraq. He should be remorseful, not crass and disgusting. By joking about this most serious subject, the President is showing his lack of heart and his belief that he will never be brought to justice over his lies. Every true American patriot should be seething with anger here, for the President has just make fools of them. Tens of thousands of American patriots have gladly served in Iraq, believing they were protecting America from these terrible WMD weapons, when the reality was that Saddam never had them, Americans could not find them, and they could not even try to stage a discovery. And now, the President is making fun of the fact that he lied over WMD in Iraq. As you consider this President making fun of the fact that no one could find any Weapons of Mass Destruction, can you sense his unbelievably callous nature? Tens of thousands of Iraqi citizens and ultimately, of American and British citizens, will die -- some in great, slow agony -- because President Bush lied about Saddam Hussein possessing WMD.